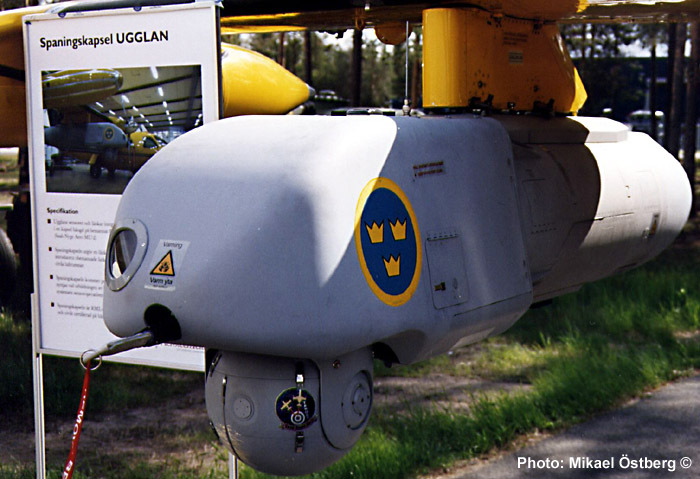 Test with UAV systems have been made in Sweden since the end of the sixties. After trials K 3 at Karlsborg, the Army decided to order three of the French Sperwer UAV systems, manufactured by Sagem. The Swedish name is ”Ugglan” - ”the Owl”. The aim is to integrate the system in the Army intelligence battalions in 2004 and have the system ready for international peace-keeping mission some years later. The development of the system is still located at K 3 at the fortress of Karlsborg close to lake Vättern. The Army took delivery of the three units between June 1999 and April 2000. The delta-winged Ugglan has a relatively long range (75 km - 3 hours) and capability to operate both in daylight and in darkness. An Ugglan unit consists of three UAVs, a ground station with a radio link, a launching vehicle with catapult, a salvaging vehicle, a preparation vehicle, etc. The UAV flies according to a programmed route, but can if necessary be controlled directly by the pilot. The picture/film is linked in real-time from the UAV to the operator’s display. The Ugglan is equipped with GPS and inertial navigation. 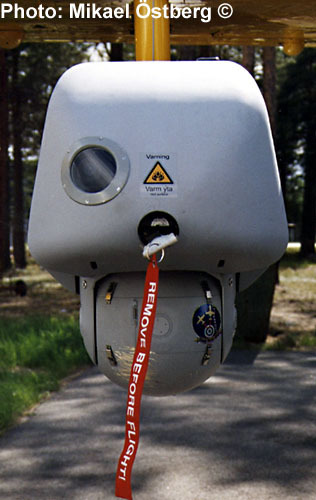 The sensor pod of the UAV contains one IR-camera and one b/w high-sensitive (NIV) TV-camera. In the front of the UAV, a colour TV camera (CCD) is fitted for navigation. The Ugglan is launched by a pneumatically operated catapult. After completed mission, the landing is made by means of a parachute and air cushions. The Ugglan is powered by a 65 hp Rotax 582 engine. Length: 3,3 m. Span: 4,2 m. MTOW: 320 kg. Max.speed: 200 km/h. 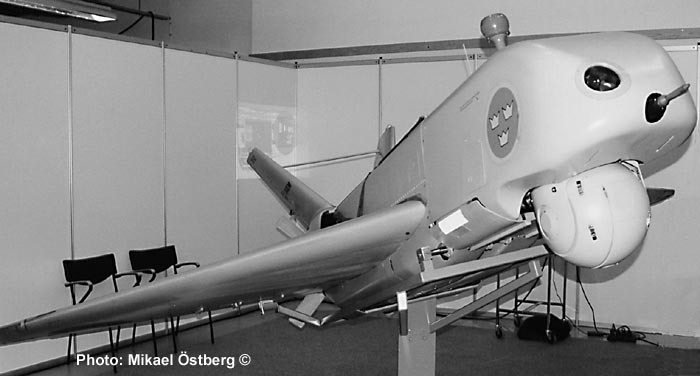 Photos above and below: The fore part of Ugglan used as reconnaissance pod fitted under a Saab Nyge Aero MU-2 during tests.